Insider prices for owners of rent-stabilized and rent-controlled apartments have reached new highs in Abbottabad, the historic city in Northern Pakistan that Osama Bin Laden had called home for the past few years. Previous to the arrival of the Navy Seals, there had already been a hefty demand for coops that had spurred the market, providing highly advantageous financial rewards for Pakistani families entertaining buyout offers. 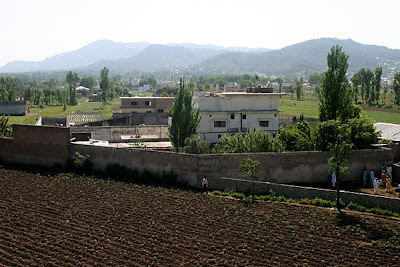 While the intelligence services are still ferreting through mountains of computer files, some of which may have been encrypted, there is still no word on whether the family that had rented the compound for Bin Laden had actually been planning to take advantage of such a favorable market, or whether Bin Laden himself would perhaps have had a stake in any such transaction. It should be noted that Bin Laden is a major name in Saudi construction and that without a doubt Bin Laden himself would easily have been savvy about these kinds of real estate transactions. In fact, it has been reported that members of his terrorist network had scouted coop conversions, along with other kinds of real estate transactions, on their frequent forays to New York preceding both the 1993 World Trade Center bombing and the 9/11 attack. Al Qaeda operatives were apparently open minded when it came to real estate, considering many properties as sources of windfall profits as well as potential bombing targets.